The NEW Incra Mitre 1000HD is the most refined model yet in the Mitre 1000 series. 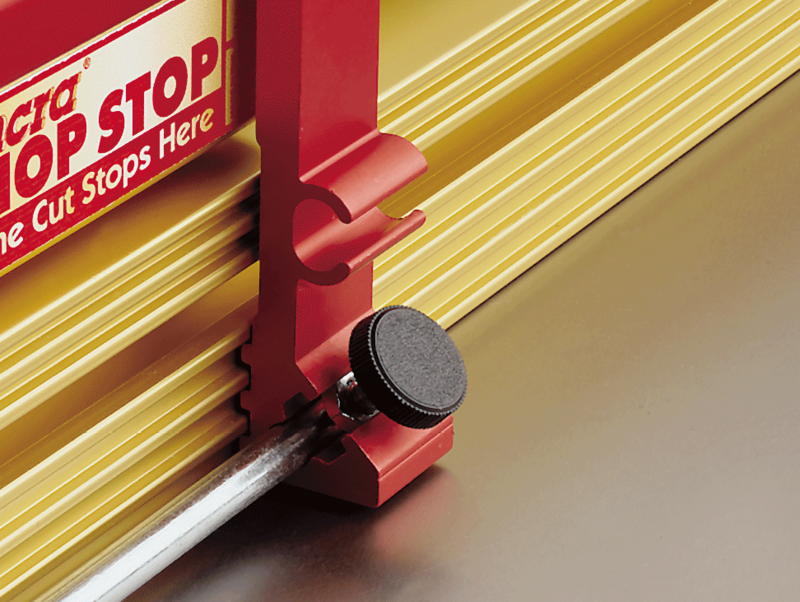 The HD stands for High Definition, because the protractor plate's exclusive AngleLOCK Indexing System has a whopping 180 can't-miss angle stops in 1° increments with special stops located at 22-1/2°. Now in FULL METRIC out of the box. 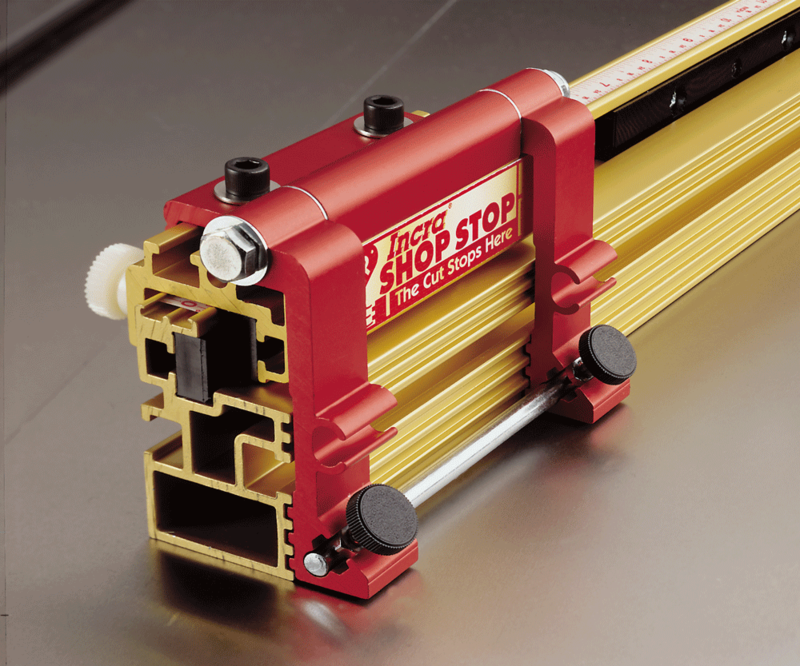 Combine that high-resolution protractor with the industry's smoothest adjustable mitre bar, a telescoping IncraLOCK Cut-off Fence & Flip Shop Stop, and a steel vernier scale that reads to 1/10°, and you've got a winner that will improve the quality of any project. Are you cutting parts for segmented turning? 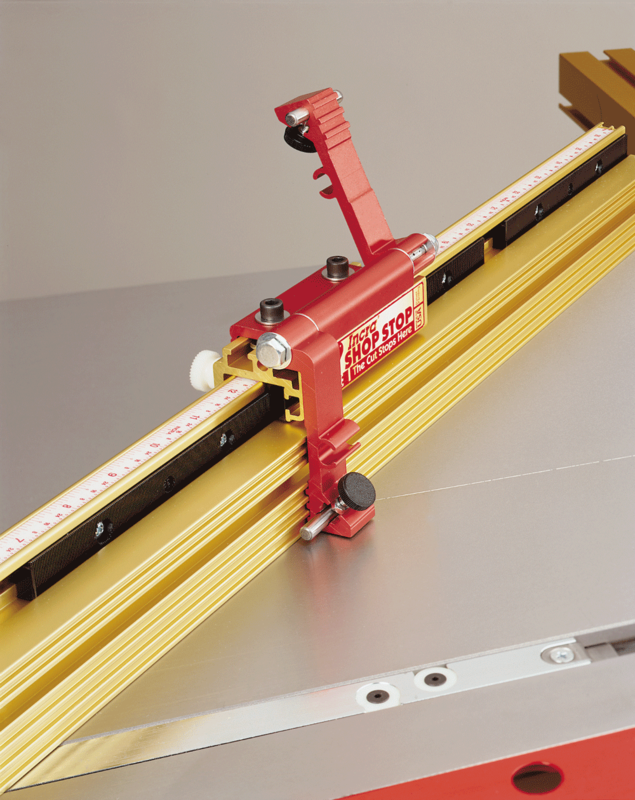 The Mitre 1000HD will allow you to precisely set and quickly duplicate any angle you might need, whether it's 18° for cutting 10 sides, 25.7° for 7-sided objects, or anything else imaginable. 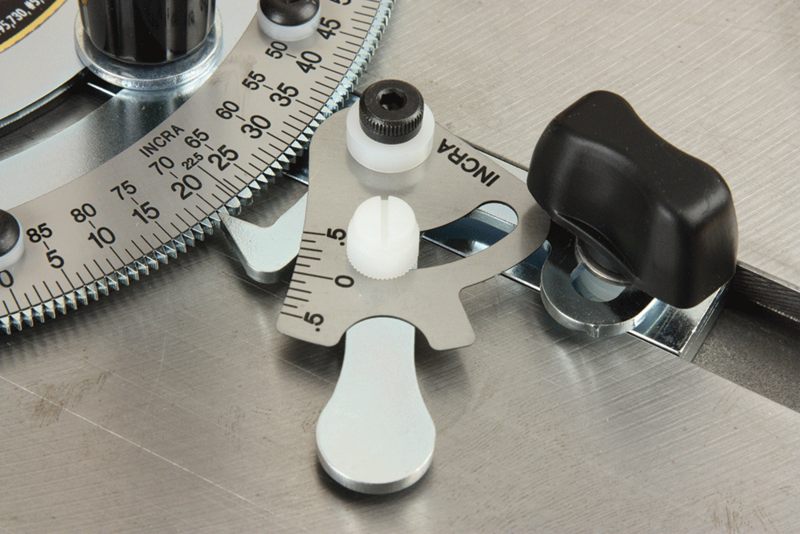 Review : I have been using this mitre gauge for some 9 years now. It has been at the centre of my table saw for all manner of crosscuts. 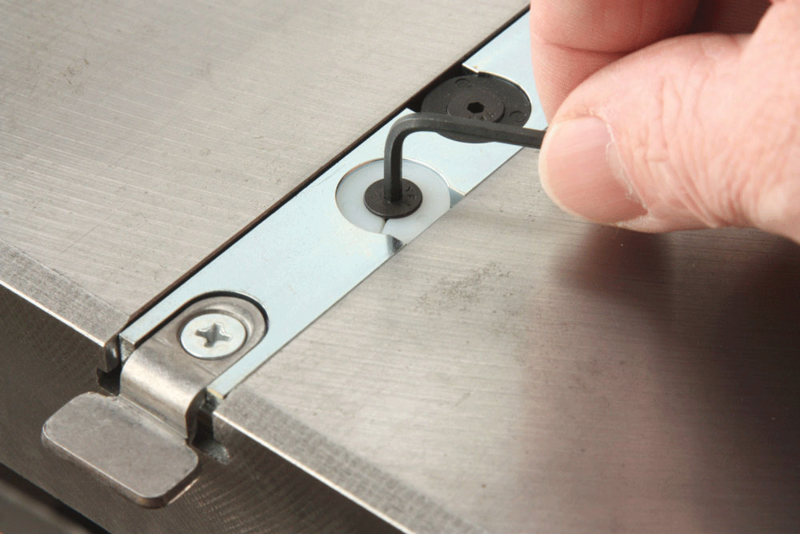 The gauge enables accurate repeatable cuts (using the invaluable flip stop). Extending the fence length (for cutting longer lengths) provides a little extra stability for the work piece. 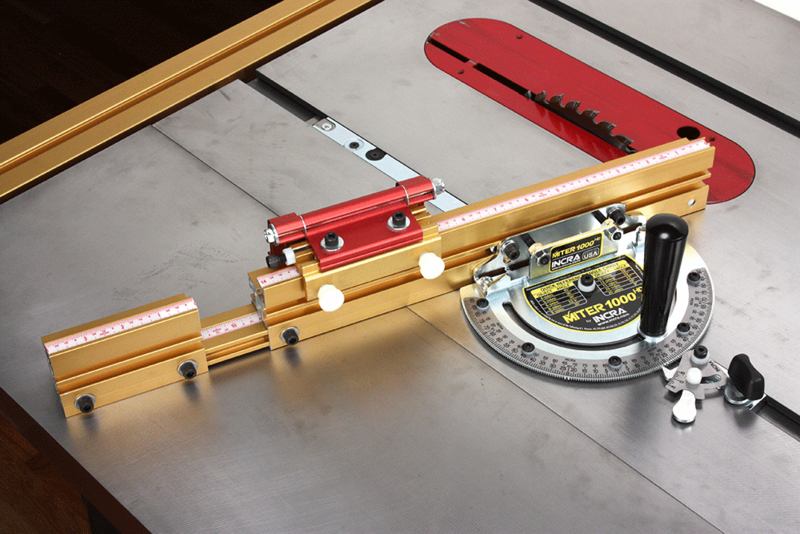 The many notched angle settings make it a breeze to select "standard" cutting angles. The accuracy and repeatablity of the angle settings is invaluable when cutting mitred joints using unequal widths of timber. As I like to keep the fence positioned such that it barely clears the blade, the scale on the fence is of minimal value as the fence often has to be re-positioned for the angled cuts. 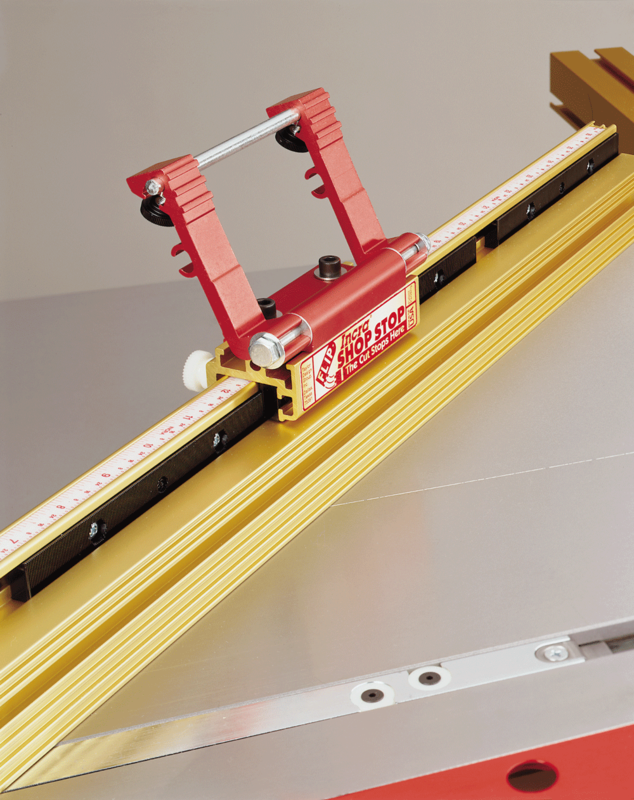 Once the gauge has been properly aligned to the saw blade, it rarely needs to be checked and even less likely to need adjustment. In fact I have had to adjust it only once in the 9 years I've used the 1000HD - and that was when I purchased a new table saw. 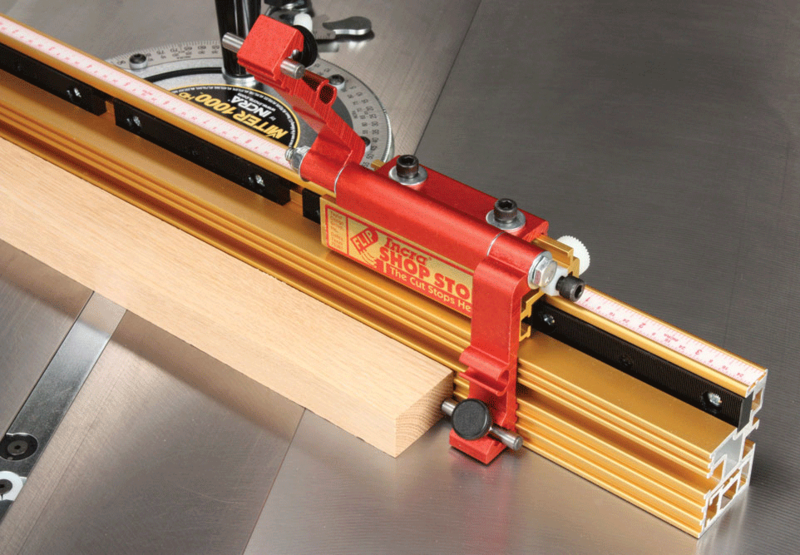 Although a bit pricey, this mitre gauge is well worth the investment. What is the width of the mitre bar (presumably 3/4")? 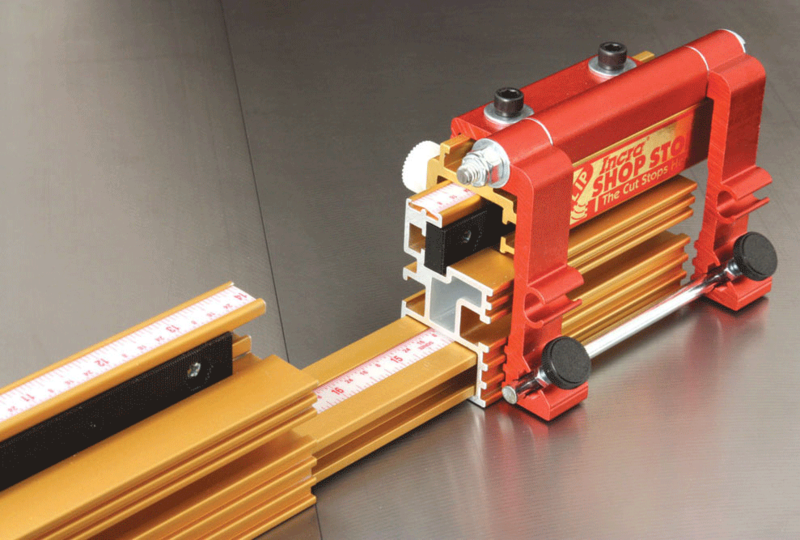 Given that there are micro variations (or not so micro) in T Slot widths between different table saws and other machines, how much adjustment or compensation for this is possible?